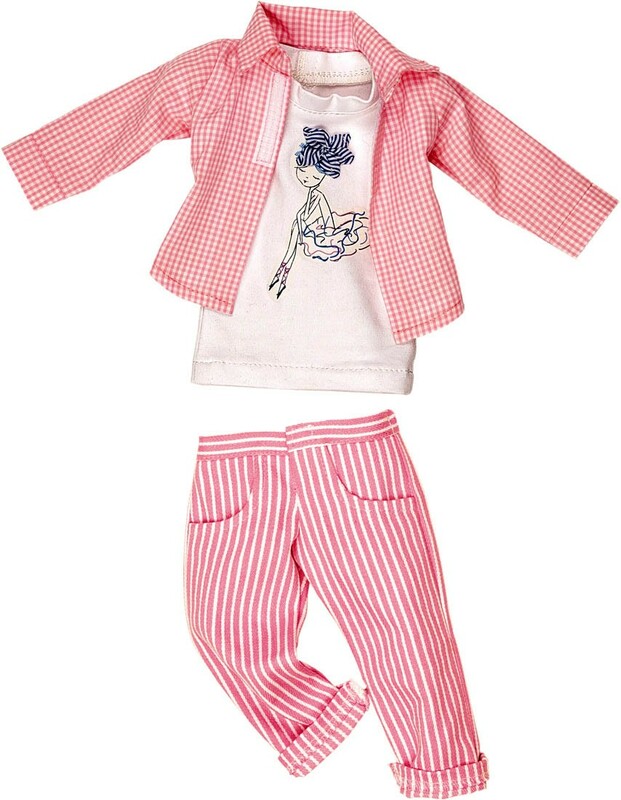 This fashionable weekend clothing set for Marie Kruse includes pink and white striped pants, white fashionista t-shirt, and pink checkered jacket with Velcro closure. 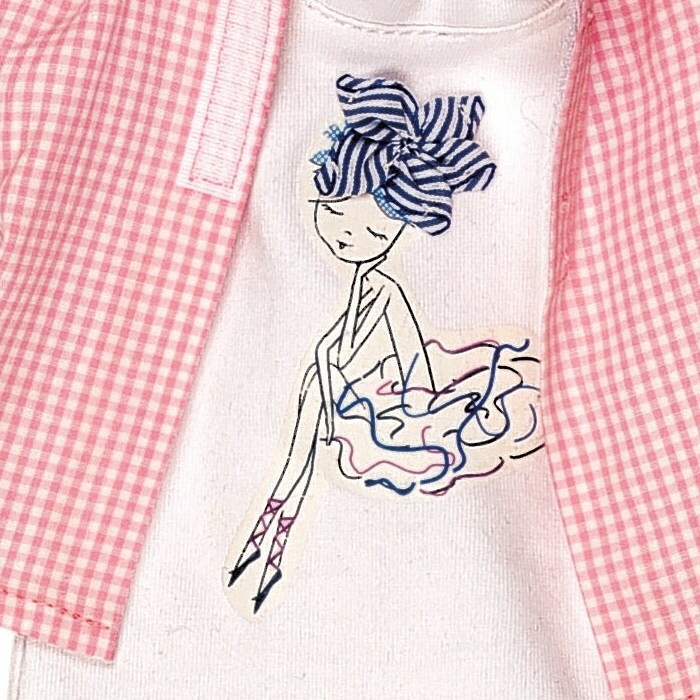 Käthe Kruse Prêt-à-porter dolls clothing offers children additional fun and extra play value. The clothing is very detailed and made from high quality materials. It is easy for small hands to take on and off.